The National Capital has a wealth of things to see and do - far too many to list here. To discover what's happening during your visit, why not check out the Visit Canberra website. 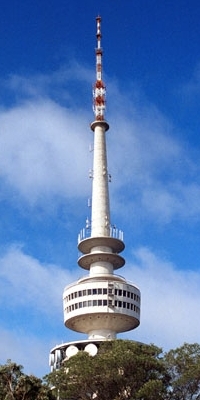 The weather in Canberra during April is mild, with an average maximum temperature of 20°C. However, because of both its inland location and its elevation (around 580m above sea level) conditions tend to cool overnight and the mean daily minimum temperature is 7°C. Average rainfall in April is 53mm, which usually comes in short, sharp bursts. Public transport is limited to buses and because the city is spread out, with meagre weekend services and no transport after about 10pm, visitors are best off with a car. There is plenty of parking at the tourist sites and the road system is excellent and uncongested; to hire a car drivers must be 21 years of age and hold a valid driver's license, sometimes in conjunction with an international driver's permit.